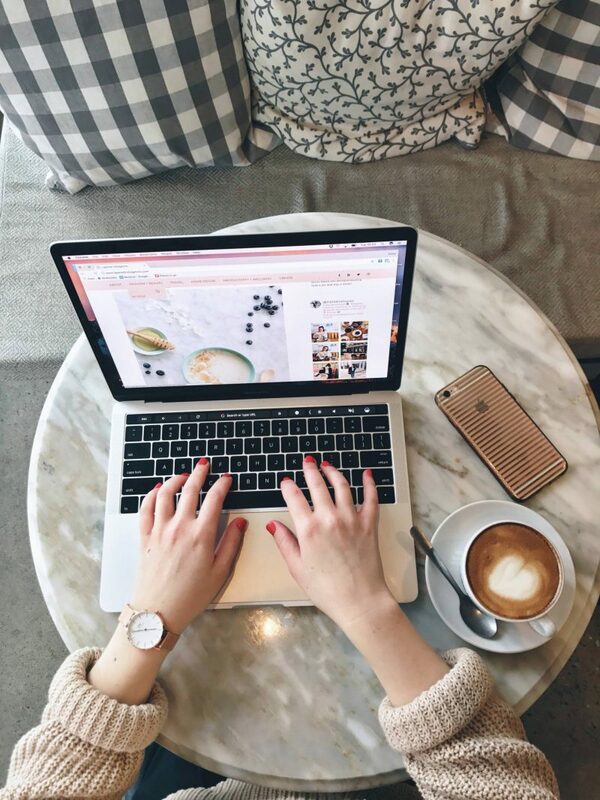 As a blogger and freelance writer, I spend a lot of time working at cafes around the city. Luckily, Toronto has some REALLY amazing spots! 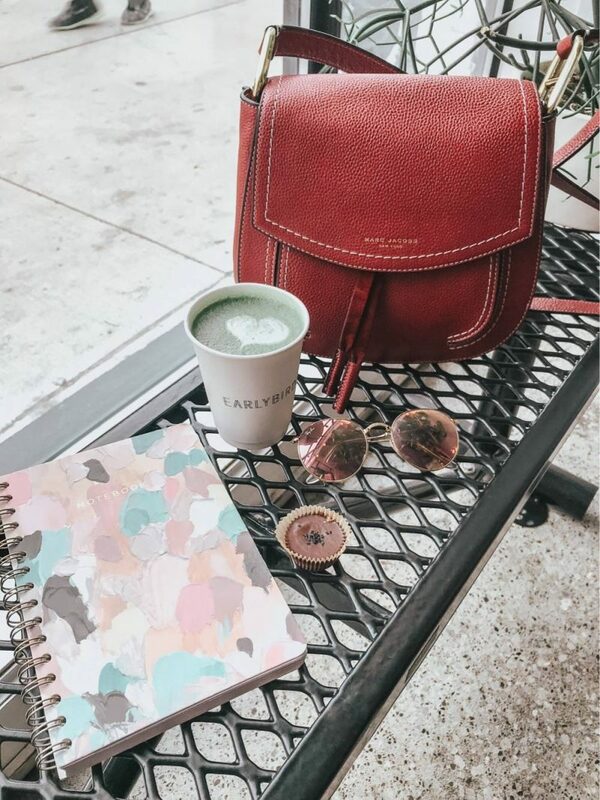 If you also work from coffee shops, you know how important it is that they have the trifecta: Good drinks (and food), a cozy atmosphere and Instagrammable decor that makes you want to stick around all day! 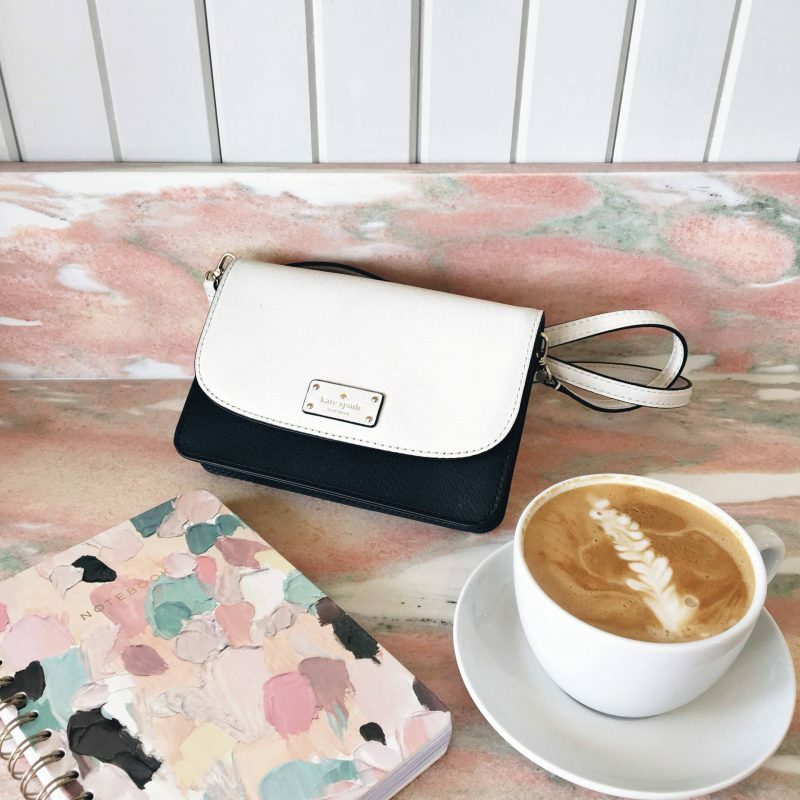 Since cafes are pretty much like my second home, I wanted to share my favourite ones with you! 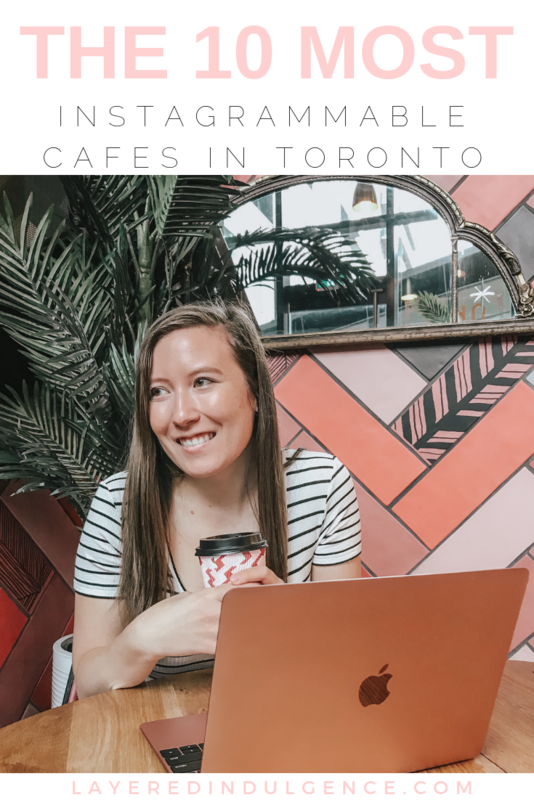 Take a look at the 10 most Instagrammable cafes in Toronto (oh, and don’t forget to follow along on Instagram so you can see all my favourite spots!). 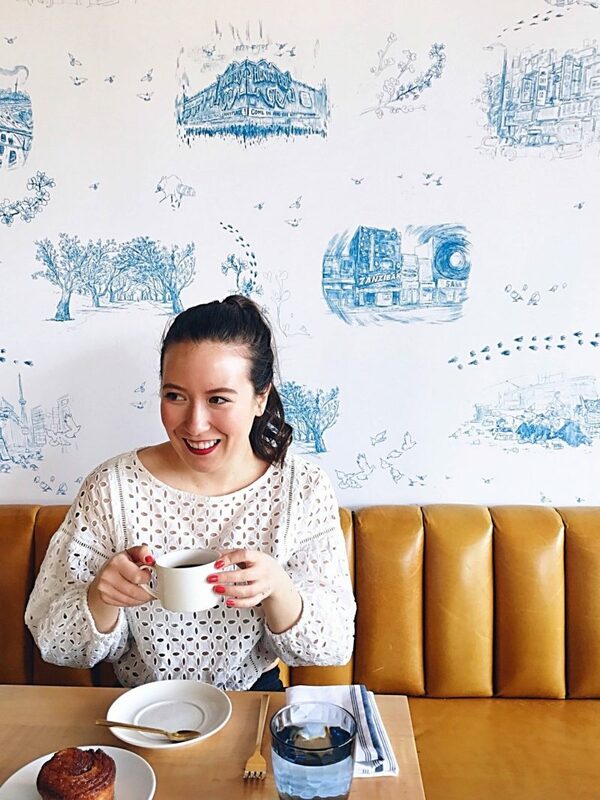 There’s no doubt that Dineen Outpost is one of Toronto’s prettiest cafes. 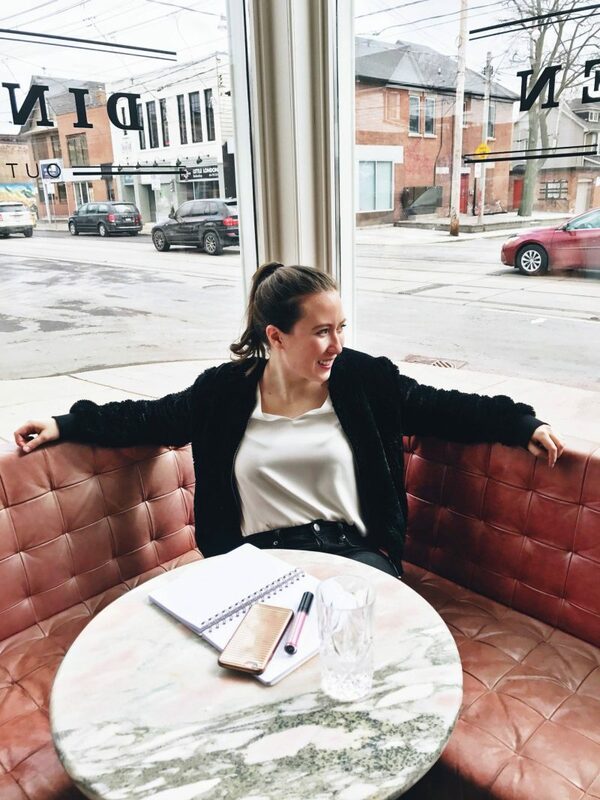 Located in the east end, just past Carlaw on Gerard, their pretty pink interior makes it the perfect spot to snap some shots while you’re working away. Grab a cappuccino and one of their delicious sandwiches to keep you fuelled throughout the day! 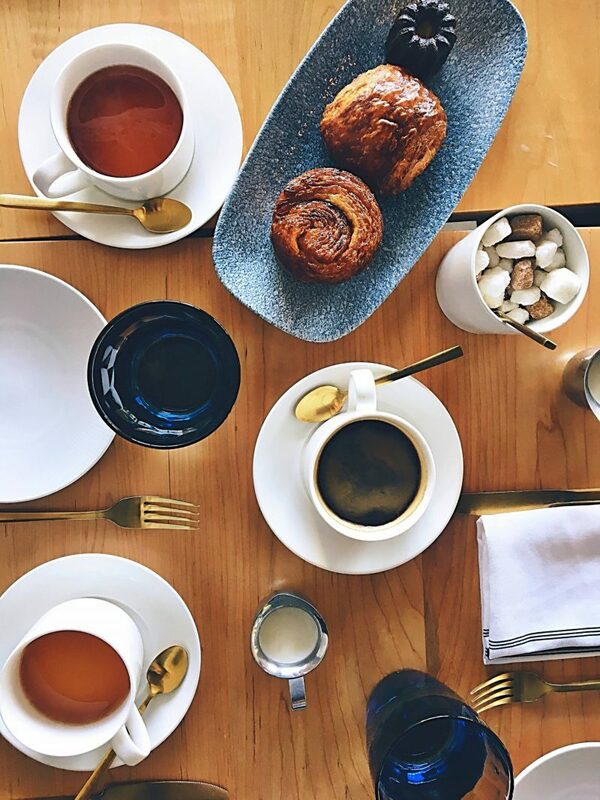 One of Toronto’s newest cafes and eateries, Rustle and Still is not to be missed. 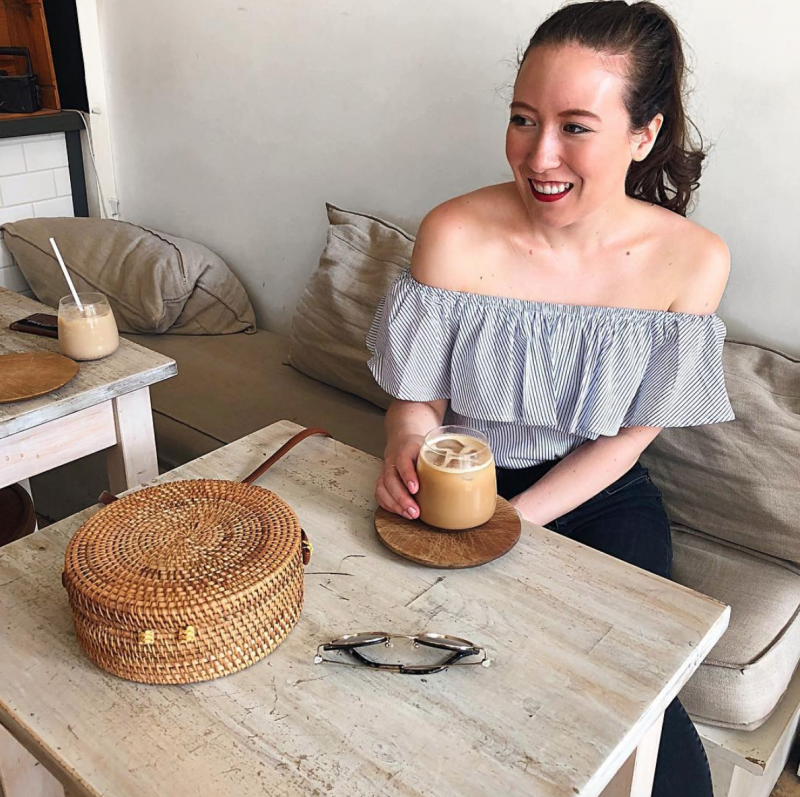 Paying tribute to the owners’ Vietnamese heritage, you’ll find Vietnamese coffee, banh mi and delicious drinks and desserts. My personal favourite is the vegan banh mi sandwich, it’s my go-to every time I visit! And I can’t forget the amazing, cozy atmosphere made totally Instagrammable with plenty of lush green plants and trendy rattan chairs. I tried The Walton for the first time last year and it has quickly become one of my go-to spots! 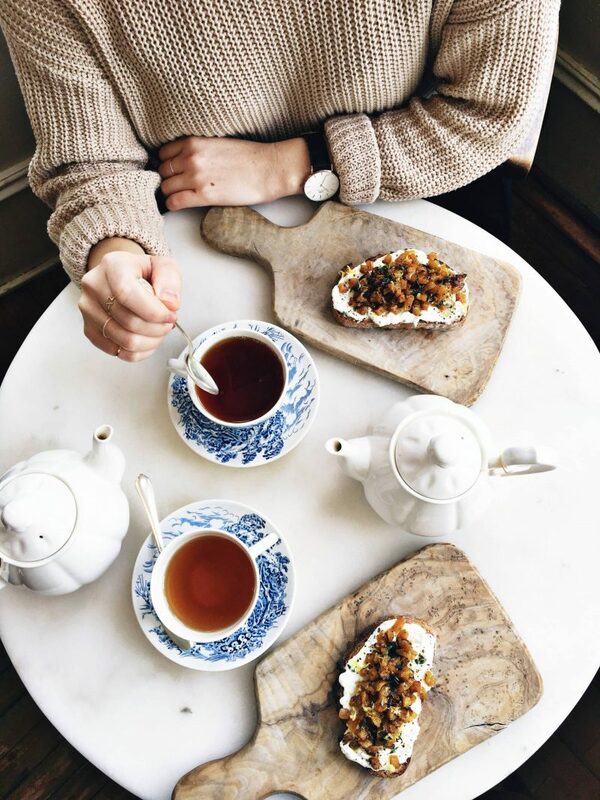 It’s a quaint cafe serving espresso and pastries, and if you’re in the mood for a little something more, you HAVE to try one of their toasts (the beet and ricotta one is my fave, but the avocado is delicious too!). They have such pretty tea cups and serving trays that are as charming as ever! The pretty tiles at Oretta are just part of what makes this spot a neighbourhood fave. 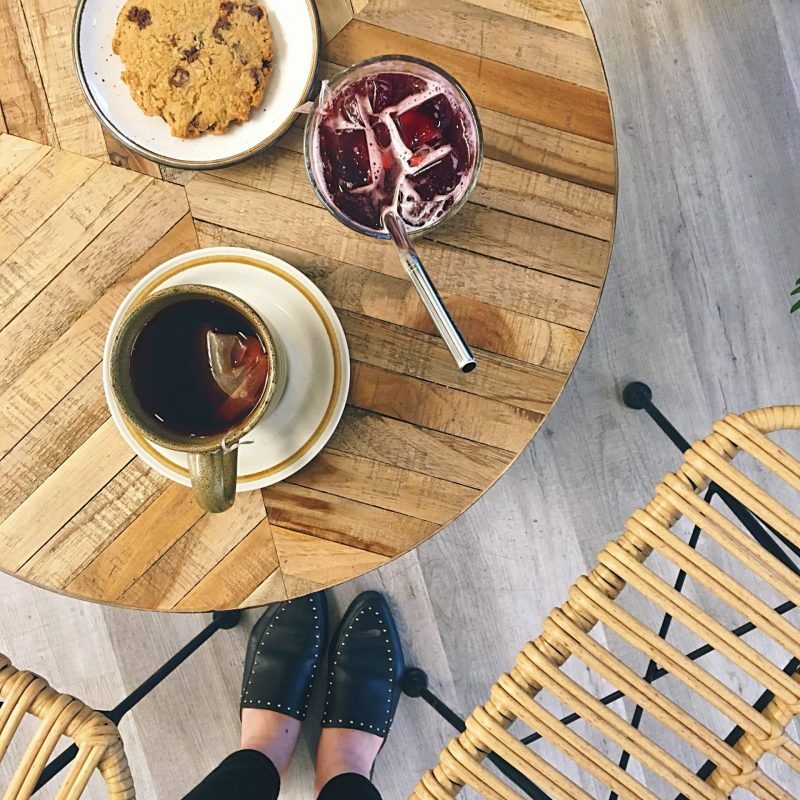 The space is trendy and elegant with a warmth that makes you want to stay around all day (okay, maybe that’s the divine smell of the pastries cooking behind the counter). I’m constantly having meetings here as it’s super close to our apartment. And if you get hungry, try one of their Italian snacks or treats they make fresh on the daily. Looking up their hours, it seems Bacchanal now opens daily at 5:30 PM, so I don’t know if it still qualifies as a cafe. But it’s so beautiful that I still wanted to include it on this list! It’s a French neo-bistro serving up modern French cuisine in the heart of Queen West. 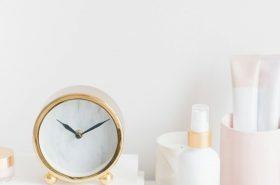 I fell in love with the decor as soon as I stepped inside – it’s Insta-worthy at its finest. 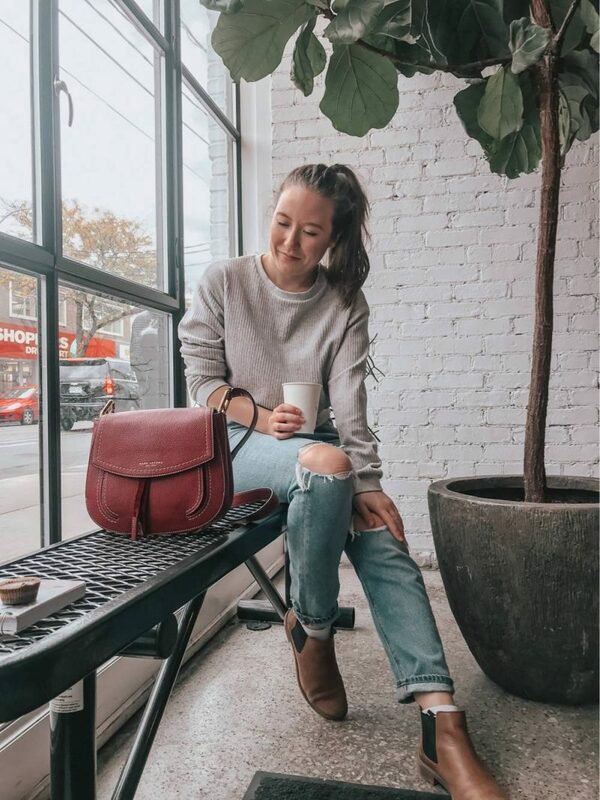 I used to spend a lot of time at Dark Horse Canary District, and even though I haven’t been over there in a while, it still remains one of my favourite coffee shops in the city. I love the homey, rustic vibes and the cozy bench seating areas they have. They also make great coffee and tea, and have a bunch of pre-made eats and pastries to keep you full throughout the day! Forget Me Not is the cutest cafe around. Part coffee shop, part gift emporium, it’s the perfect place to spend your day and snap some pics! They have the coziest seating and a menu full of specialty drinks like the Nutella Latte and the Toasted Almond Latte. I also like to get the butter chicken wrap when I’m there…it’s oh, so delicious. 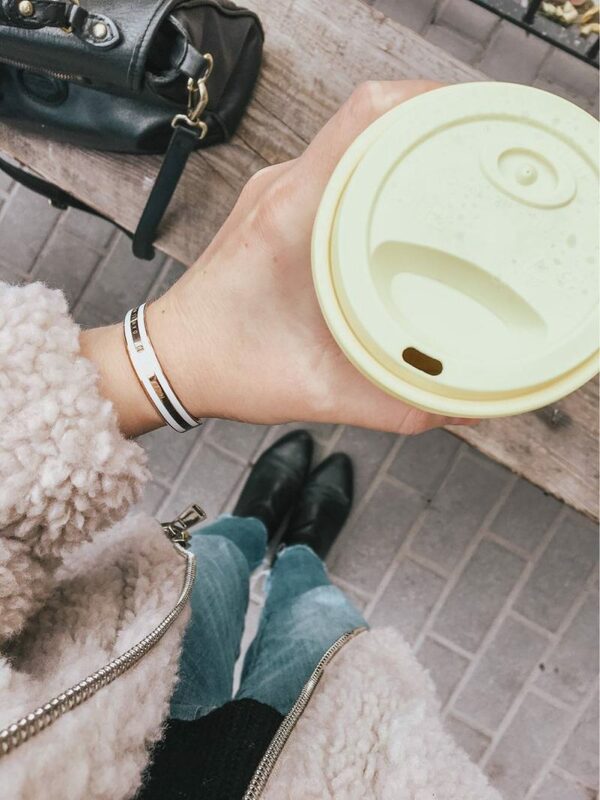 You know what they say…the early bird gets the worm! This was one of the first cafes I started going to when I moved downtown after coming home from University! 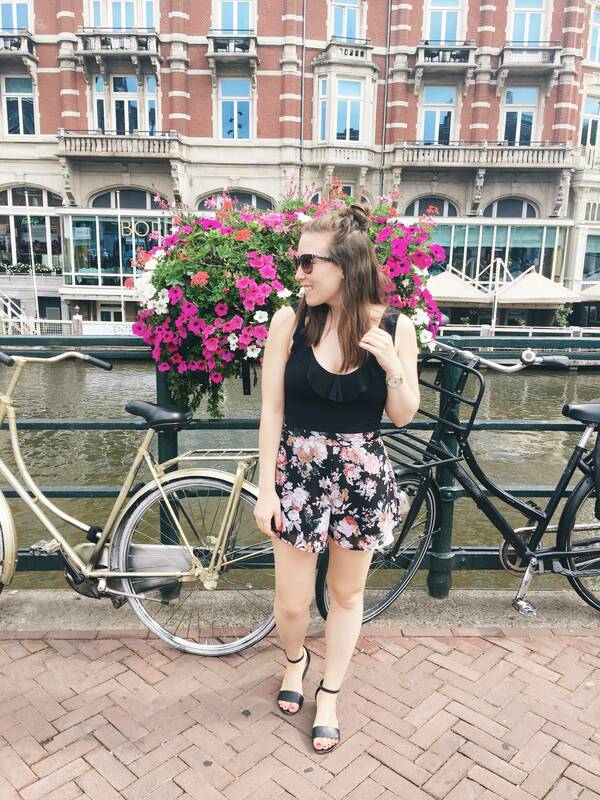 It’s cute and trendy and has amazing drinks and food! They have a few no-screen tables during the day, but I’m pretty sure the big wooden communal table is always allowed laptops for the worker bees! Jimmy’s is known to have some of the best coffee in the city along with the friendliest baristas (and those notable yellow lids!). Their first location on Portland Street was so popular that they had to open a second one right across the street, and nope, they didn’t close the first one when the newest one launched. They wanted everyone to be able to have their fix! 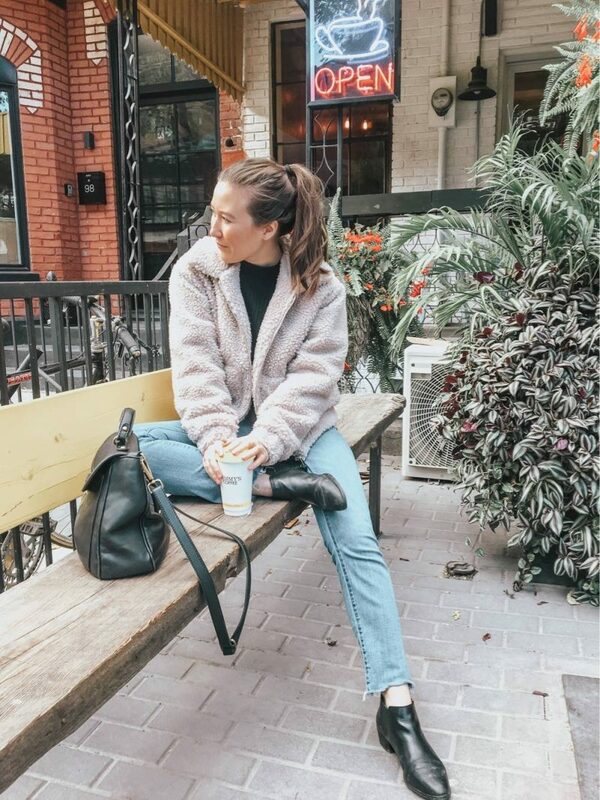 The outside of the cafe is just as lovely as the inside, making it a perfect spot for some Instagram shots! I loveee the Drake Cafe. It’s so cute and cozy and has one of the best smoked salmon bagels I’ve had (and I LOVE smoked salmon bagels!). 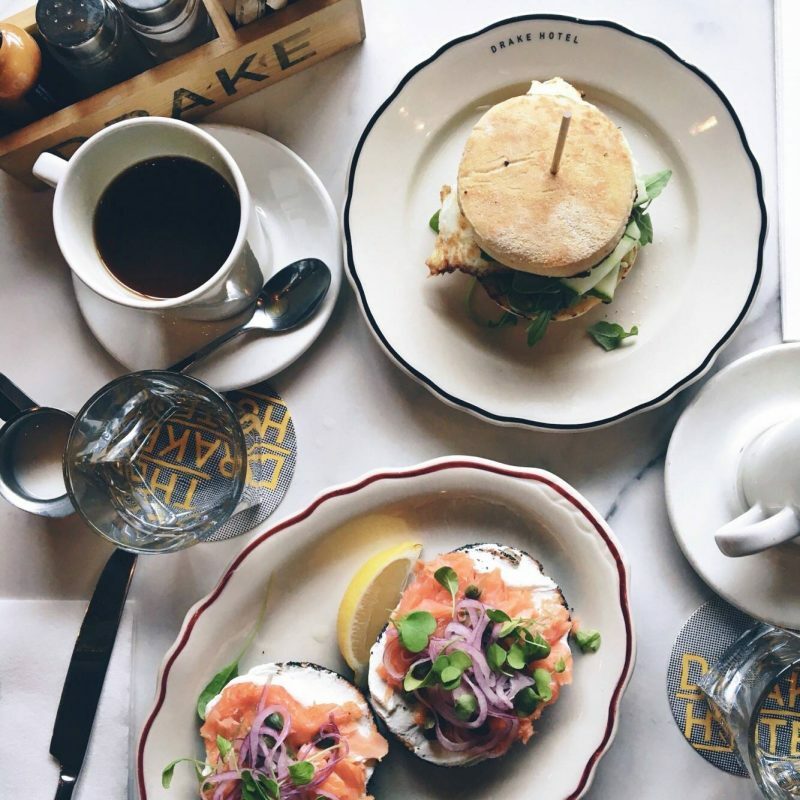 Attached to the renowned Drake Hotel, the Drake Cafe serves coffees and pastries along with a breakfast and lunch menu that’s sure to please. I love the hip atmosphere, it’s the ideal place to spend a morning! 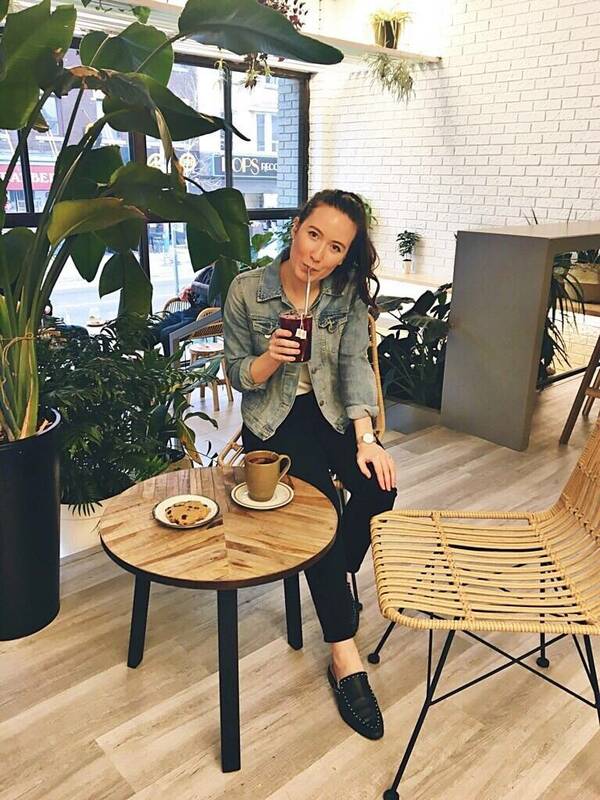 If you’re looking for Instagrammable cafes to snap some pics around Toronto, or just want to add some go-to coffee shops to your list, these are ten of my favourites! Are you from Toronto, or have you visited? I’d love to hear about your faves in the comment section below! 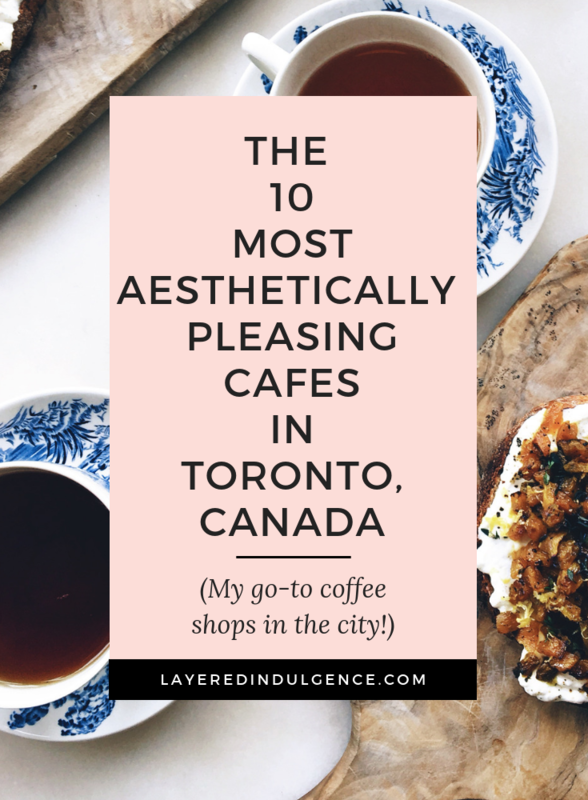 If you loved this post on the most aesthetically pleasing cafes in Toronto, please share the image below so others can find them too! PS. 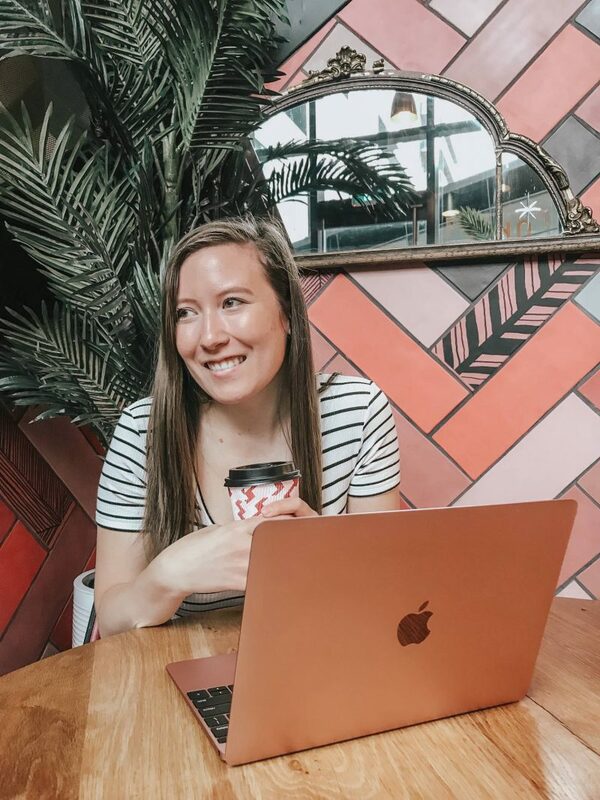 Want to start a blog and work from cool cafes like this all the time? 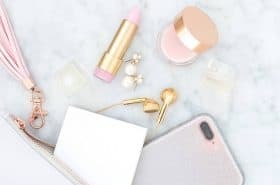 Check out my step-by-step guide on how to start a successful blog from the ground up – it’s perfect for beginners! All of these places are perfect for pictures. I agree! They are so well-designed! Thank you! I’m coming to Toronto this weekend and was looking for good coffee and good photos! This post was 100% what I needed. Thank you so much! YAY! 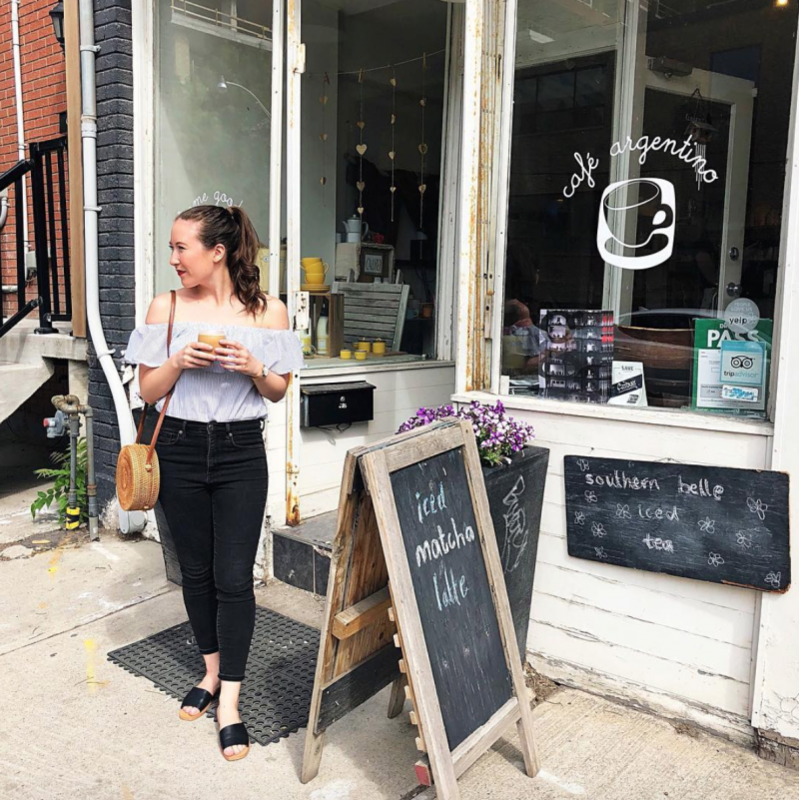 So happy you found my post 😀 Enjoy Toronto and I hope you love these cafes!